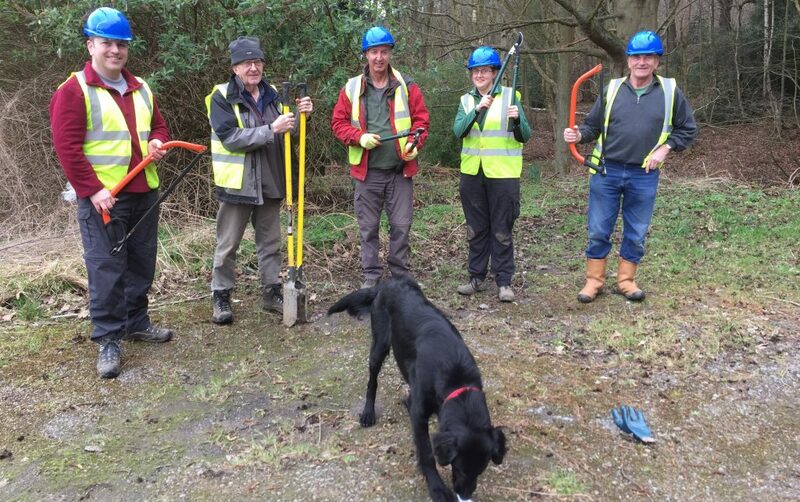 The 2nd and 4th Wednesdays of the month are Volunteer Day in Chopwell Wood, in partnership with the Forestry Commission. Our willing helpers meet at 10am in the Forest Classroom. No experience is necessary – just elbow grease and lots of enthusiasm. We provide the training, tools and equipment but of course you’ll need to wear suitable clothing. We’re usually finished by about 3.30pm so make sure you bring a packed lunch if you’re staying all day. We’ll keep you topped up with tea and coffee. There are plenty of other opportunities to get involved besides our Wednesday sessions. Could you help out at our events? Do you have any special skills you could share or would you like to be involved in the projects we deliver in the Wood? Getting involved doesn’t have to take a lot of time and you’d be surprised how a little effort reaps great rewards!